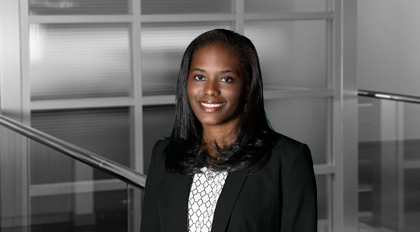 Tonya Mercer has extensive litigation experience, and she has assisted clients in a variety of complex matters. She assists clients involved in commercial contract litigation, health care contract litigation, commercial lease disputes, homeowner’s association disputes, corporate regulatory compliance, international litigation management, employment litigation, and criminal defense. Mercer has worked on matters involving tax fraud, securities violations, accounting fraud, bribery, aggravated assault, defamation, constitutional claims, employment litigation, antitrust, and the export of short supply materials, technology, and defense articles. She has assisted clients in criminal and administrative investigations, pre-trial litigation, appeals, administrative enforcement actions, mediation, and the federal and state pardon processes. Before joining Moore & Van Allen, Mercer practiced with a Washington, D.C.-based firm and focused her litigation practice on criminal defense, complex civil litigation, and export controls. Received awards for excellent achievement in the studies of Criminal Law, Legal Research & Writing, and Religion & Law. Worked for the U.S. Department of Justice in Washington, D.C. prior to attending law school. Served in the Antitrust Division, Telecommunications Task Force of the Department of Justice, working on matters involving the provision of local and long distance telephone service and the review of proposed mergers and acquisitions of large telecommunications companies. Served for three years in the Office of Justice Programs, Bureau of Justice Assistance, the U.S. Department of Justice, where she assisted state and local governments in the administration of federal grant programs targeted at the design and implementation of criminal justice and public safety initiatives.